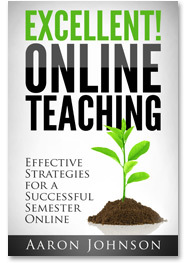 If you’ve read through some of these online teaching tips, or read my book, Excellent Online Teaching, you’ve picked up on the fact that I believe good online teaching is built on good habits. You’ve probably had a teacher in high school or college who got by on charisma. You didn’t learn much from them, but at least they were likeable. That kind of teacher won’t last a semester online. Teaching online demands that we jettison bad habits and build a repertoire of good teaching habits. I try to stay on the positive side of things, but nn Online Teaching Tip #22, I addressed a particular bad habit that can derail your entire week. 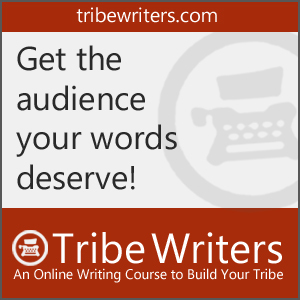 In this tip, I want to address another one of those bad habits, and offer some alternatives. I’ve been trying to figure out the bad habit behind this one. Was it his instructors’ failure to really listen? Perhaps. Maybe it was that they just didn’t care about him as a person? No, that’s not it. I think it’s a problem, really a habit (surprise, surprise) that we all have a hard time with: that we are driven by a need to cover as much content as possible. 2 – Thinking that the responsibility of learning was on my shoulders (I was teacher-centered). If you want to cover something, then use a blanket. 1. 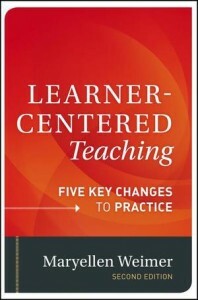 Get a copy of Maryellen Weimer’s book Learner-Centered Teaching. Or you can read my extended book review here on this site. 2. 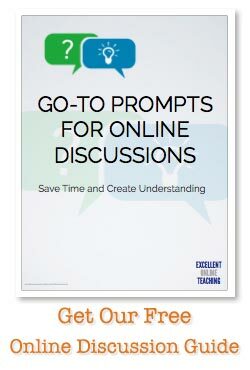 As you facilitate your online courses, get in a habit of asking generative questions. 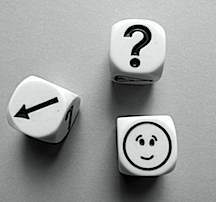 What I mean by generative question is asking questions that stimulate inquiry.